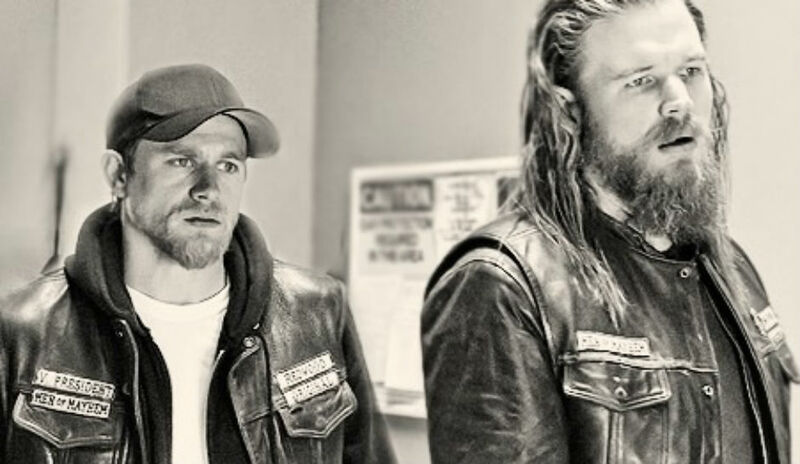 Sons Of Anarchy Stars To Lead ‘Yogis Of Anarchy’ Yoga Class At Motor City Comic Con! I love Motor City Comic Con! They always pull out all the pop culture stops! This year’s Motor City Comic Con, Sons of Anarchy co-stars Charlie Hunnam and Ryan Hurst will be leading a free Yoga class! Motor City Comic Con runs May 17-19th at the Suburban Collection Showplace in Novi, Michigan. The ‘Yogis of Anarchy‘ class (officially billed as “An Introduction to Kundalini Yoga with Charlie Hunnam and Ryan Hurst“) will be held on the last day of the convention from 8:30 to 9:30 AM. It will only open to convention attendees and only limited spaces are available. Attendees have to bring their own yoga mat, and wear a head covering or hat and loose fitting clothes. In a new Hollywood Reporter interview, Hunnam said he and Hurst frequently practice yoga together and are still close friends. Hunnam can now be seen in J.C. Chandor’s Netflix action thriller Triple Frontier. I thought Hunnam put forth his usual strong performance in the movie that started off pretty strong but went on a little too long. Hurst has had a strong run on as Beta on AMC’s well performing The Walking Dead. Check out Amazon.com for SAMCRO merchandise! Next Isuzu Introduces A Craft Beer Truck That Is Just As Awesome As It Sounds! That is so interesting! It’ll be cool to attend a yoga class at a comic con convention indeed. This is a great way to bring the benefits of yoga to an audience which might have a different perception of what yoga is about and how much of an exercise activity it really can be. Ha! This is super rad. Adding it to my bucket list lol! Wait this is so funny! Two guys who I never would have thought even touched yoga!! I actually loved their show, so this would definitely be something I would like to witness! Thanks for sharing! Pretty interesting. I wish I could join. I love yoga so to see these two guys teaching a class is amazing! Opie was my fave character in SoA. I stopped watching the show after he died but I didn’t know Hurst was in the Walking Dead. I stopped watching that show after Carl died. Yeah, I get attached to fictional characters to the point I will stop watching a show if they’re killed off. I can’t help it.